CELEBRITY HUB: How can cataract be diagnosed? How can cataract be diagnosed? Q. I am a 58 years old person weighing 51 kg. Last year, an ophthalmologist examined my eyes and told me that I have initial traces of cataract. I have read somewhere that Alzheimer's could be hereditary and is caused by plaques getting stuck in the memory cells, which would reflect in the eyes and could confuse the doctors with cataract. My mother had Alzheimer's. My CT scan is clear at the moment. My memory is not very poor. How can cataract be diagnosed? A. The plaques that you are mentioning are not in the eyes. So they cannot be confused for cataracts. It is easy to diagnose cataract with a slit lamp and distant direct ophthalmoscopic assessment by your eye doctor. It is not rocket science. So please be rest assured. 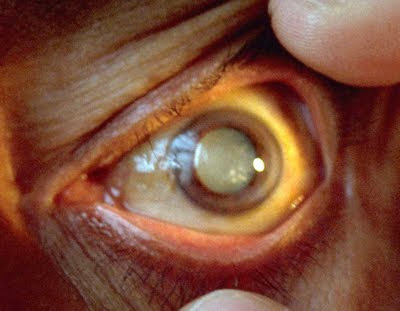 Many will have cataracts, but only those which affect eyesight need to be operated.